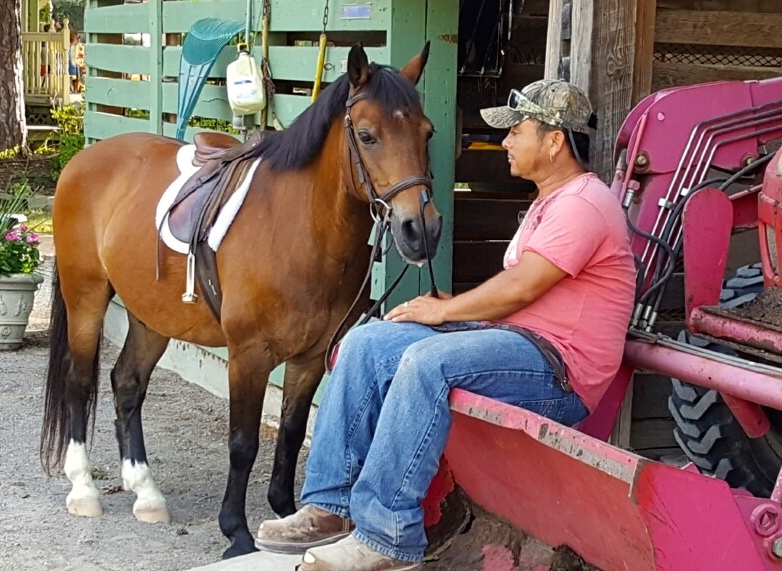 Jose and Buddy waiting the Beginner Rider classes, 2017. 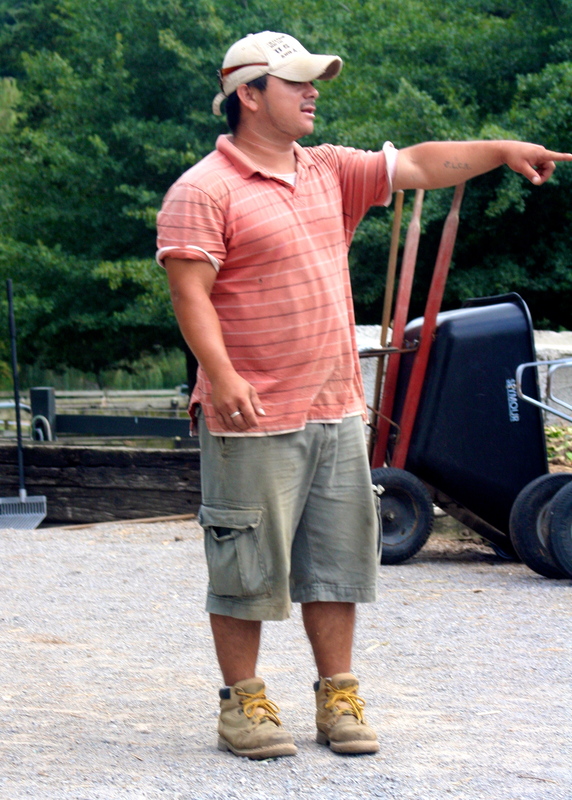 Jose Castillo has been a vital and indispensable part of the Fiesta Farm machine since October of 2004. 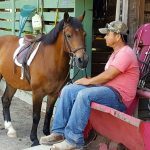 He has been in charge of every detail of the operation of the farm: taking care of the animals – stalls, feeding, de-worming, injections; maintaining the farm – mowing, weed whacking, repairing fencing; ring maintenance – dragging the footing, painting the jumps; helping with grooming – body clipping, trimming, ring side grooming at horse shows; health care – bandaging, cold hosing, medicating; farm improvements – new siding and roofs on the barns; on and on. Without Jose’s endless energy, efficiency, and attention to detail, the farm would come to a slow, grinding halt. Jose is an active member of his church, a fine soccer player and an avid fisherman. 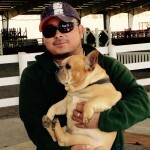 He is working hard towards gaining his permanent residence status and American citizenship.